Simply drop everything. Just get out. Somewhere without roads. No pressure. No stress. Take the Landcruiser to a beach and pitch a camp. That is real freedom. And that is the thought Bes and Meret had. 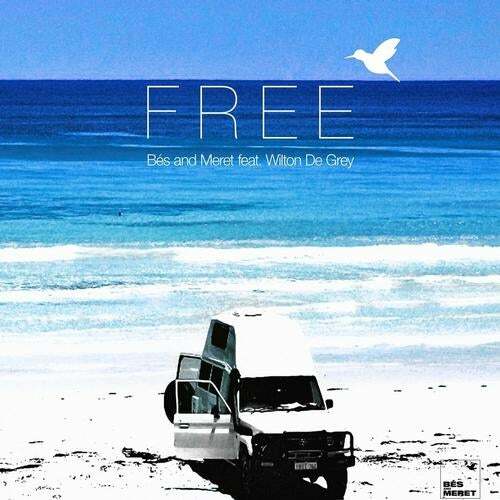 Together with Wilton De Grey, they wrote the perfect track for that feeling - Free. Freedom is a feeling and an attitude towards life that you carry in your heart. Once you have felt it, you won't ever forget it. And you will keep chasing it, trying to feel it again. The song Free is the same way. It transports the irresistible feeling with a melody that instantly grabs you and that won't let go of you for a long time. An important part of this is the incomparable voice of Wilton De Grey, which gives the song its soul. The radio version of Free equals three and a half minutes of pure energy and good vibes. The beats match the song structure elegantly and create a dynamic that gives every day that little piece of freedom. Perfect to start in the morning or as an energy boost throughout the day. And for the nights there are the club versions, which doesn't have to hide behind the dance anthems of recent years. Powerful beats and modern, driving synths - a mix that is complimented perfectly by Wilton De Grey's voice. Rounding off the sound experience of the single Free are guest remixes by the Greek top DJ Christos Fourkis, the duo Budai & Vic from Budapest and the German Dancecom Project (which already remixed for Sean Paul, Dante Thomas, Michael Mind Project and many more) - all of which interpret the free spirit of the track in their own ways.